So it’s been a busy week for parents, children and teachers this week with lots of new beginnings as the school gates re-open and we resume the normal routines of term time. I love the excitement of a new school year. It always feels like a ‘fresh start’ for everyone and everything feels possible once more. I’ve met all my new classes now and always try and remind them about bringing a ‘growth mindset’ with them to my classroom. More about that in the post I have linked up this week. Lucy and I thoroughly enjoyed reading all the posts that were linked up last week. My featured post was this one by Sherry at Life At Cook’s Cabin. I loved that the photos clearly showed the fun that had been had and also reminded us of the unpredictability of the British weather too! I also admired the perseverance and determination (both connected with a ‘growth mindset’) that Sherry and the kids showed when they were tackling the maze in the rain. Well done all and a lovely positive post that still caputred the ‘ups and downs’ of the day. 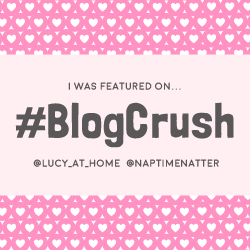 Click here to find out who Lucy’s featured blogger was. 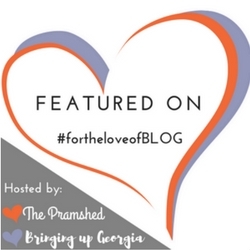 Feel free to grab yourselves the ‘featured blogger’ badge at the bottom of the post! Our little IG community is still in its embryonic stage but the #thesatsesh hashtag is starting to be used. Please do use it at the weekend to pick up some engagement on Instagram. I particularly liked this photo from Lucy this week for #thesatsesh. Looks like a fun Saturday if you ask me! • Grab a badge (you’ll find it below)! Please do add #thesatsesh badge to the bottom of the post you are linking up. You can do this by copying and pasting the badge code at the bottom of this post into the HTML area of your post. Tweet Lucy or I if you have any questions about how to do this. First-timers do find this a bit daunting sometimes. • Comment. Sit back, relax (it’s the weekend after all) and share the love by commenting on some great blogs. Again remember to add #thesatsesh to your comment. • #thesatsesh comment etiquette is to comment on one of each of the host’s posts, so one of my posts and one of Lucy’s posts and also to comment on the post directly before yours and the the post directly after yours. IF YOU DO COMMENT ON MORE… THAT WOULD BE AMAZING and you will of course go to the top of the class! • Join #thesatsesh community on Instagram. Have a photo of your weekend fun which you’d like to get some love or maybe it’s a photo connected with the post/s you linked up? Then by all means join our little IG community #thesatsesh to boost your likes and comments. Follow us on Instagram @mission_mindfulness_blog and @fridgesays and we will follow you back to keep up to date with you all.